Here are seven short dramas portraying the parables of Jesus through the lens of Bible times. They are stories that never grow old! In these videos you will see the Bible come alive, understand the customs and culture behind the parables, and feel the impact of Jesus' message. Fullscreen. Since the advent of spoken language, fables, parables, and stories have been used as teaching tools, so it's not surprising that the man hailed by the Christian world as the master teacher employed parables in his lessons as well. Hosted by Christopher Gornold-Smith, Parables of Jesus presents dramatic recreations of seven parables found in the New Testament, each introduced and placed in its historical and cultural setting. Admittedly, some dramatic license is taken, but the tweaks help underpin the moral lessons on "The Good Samaritan," "The Unmerciful Servant," "The Treasure and the Pearl," "The Dinner," and three others, each of which runs about seven minutes. DVD extras include a director's commentary and a downloadable discussion guide. A fine nondenominational introduction to a handful of Jesus' more famous parables, this is recommended. Due to the fact that the culture Jesus lived in was different from ours, some parables He told are difficult to understand. 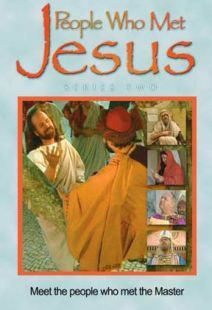 This DVD helps viewers comprehend and identify with Jesus’ stories by portraying seven parables He told and explaining them in relation to the cultural background. Each parable is narrated and acted out simultaneously. The seven stories are "The Good Samaritan," "The Unmerciful Servant," "The Treasure and the Pearl," "The Lost Son," "The Midnight Visitor," "The Dinner," and "The Manager." DVDs of this nature tend to be boring; but in this one the parables are told in new and interesting ways, and the information is intriguing. Because the entire DVD is narrated, the actors don’t talk; but their acting is satisfactory. The narrator speaks well and makes many interesting points. The culture is depicted excellently by the use of objects that were common during Bible times. Bright colors, good photography, and pleasant music add to the quality of the film. Parables of Jesus is a great source of information about the cultural background behind the stories Jesus told. This DVD will be useful for Sunday schools, small groups, or other Bible studies, and a church library should have it available. 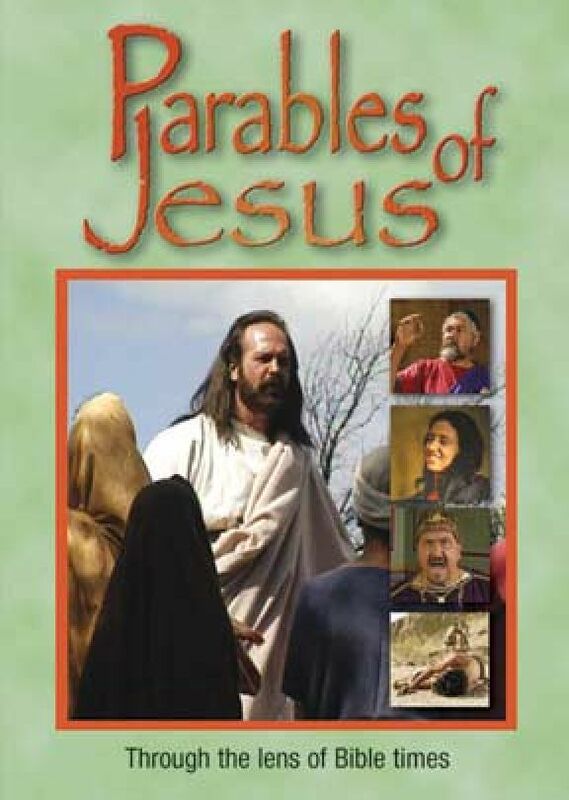 According to the IMM website, "Parables of Jesus" was produced to assist people in understanding the customs and cultures and let them feel the impact of Jesus' words. This DVD contains seven short dramas portraying the following parables: The Good Samaritan, Unmerciful Servant, Treasure and the Pearl, Lost Son, Midnight Visitor, The Dinner (The Great Supper), and the Manager (The Unjust Steward). The special features include "Director's commentary for each story" and scene selections. A Leader's Guide" by Dawn Moore and the staff of Christian History Institute is available from www.imm.edu that includes the following for each of the seven parables presented in the DVD; Scripture reference, theme, questions to use before viewing the parable, questions to use after viewing the parable, heart questions, and "odds and ends from the director (historical and cultural background of the parable with occasional citations). The scriptwriter, director, and host of this presentation is Christopher Gornold-Smith, who taught Educational Media Development at ICI University in Brussels, Belgium and was involved in productions with IMM for broadcast on national television in Slovakia. Gornold-Smith and the rest of the staff of IMM are missionaries from the Assemblies of God in the United States who serve for a four year term and then return to the USA for one year of raising support before returning. The presentation is of high quality. The content is accurate and insightful. The acting, props, and costumes are authentic. The only shortcoming is that the whole production is narrated, even when the parables are being acted out. "Parables of Jesus" is recommended for laymen, but the "director's commentary for each story" on the special features option and the "odds and ends from the director" on the "Leader's Guide" make it appropriate for those who wish to do further study. - Reviewed by Jeff Gates, Information Services Librarian, Cedarville University, Cedarville, OH. Here is a fine series of short dramas on the following parables of the Lord: the good Samaritan, the unmerciful servant, the treasure and the pearl, the lost son, the midnight visitor, the dinner, and the manager. 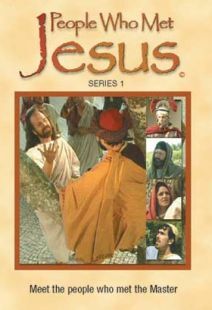 The acting in these dramas is superb, and the DVD could be a wonderful resource for Bible studies, small groups, and Sunday Schools. The lessons of the various parables are unmistakable, and the settings give an accurate picture of Bible times. Most would concur that this type of treatment is preferred over animated cartoon material. At the very beginning when Christopher Gornold Smith said that in order to understand the parables of Jesus we had to understand the culture of the society in which they appeared, I knew I was going to enjoy the program immensely. I wasn't disappointed. For anyone who has only ever read these parables in the Bible but never actually studied them, this IS for you. Christopher Gornold Smith is an awesome presenter! He takes us right into the scripture and places it in the context of the first century listener. I love this program for personal or small group study of the parables. It's wonderful because his style is so engaging and his insights are so relatable. The short 10-15 minute presentations leave plenty of time for discussion which is perfect since there is much to discuss! 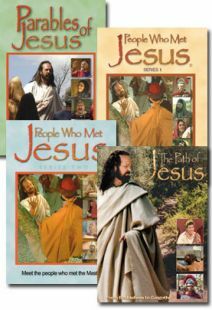 Check out his other three programs too, " People Who Met Jesus I and II" and also "The Path of Jesus". These parables of Jesus are wonderfully told and depicted. My class of 13 and 14 year olds enjoy them. The narrator does a better job of explaining the parables than I can do.